What's up with people checking themselves out? Is it arrogance, intrigue, or paranoia? Saturday night my wife, mom, mother-in-law, and I were talking about blowing our noses. We have been sanding, scraping, and sawing throughout the remodel of our new home and our nose blowing has been quite interesting. Think about when you blow your nose. 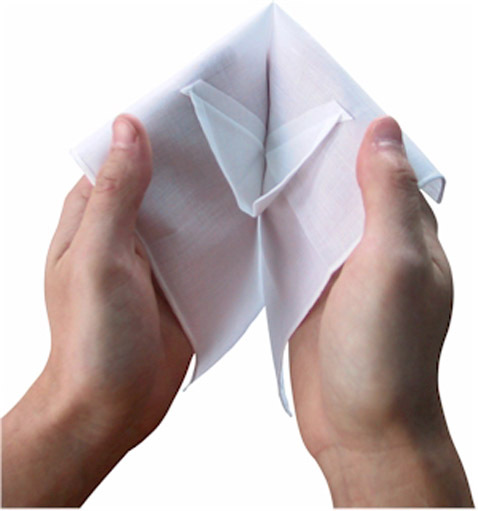 Do you check the tissue or do you blow and throw? I am a checker. A bit off today, but not bad. Scale- It is either your best friend or your worst enemy. Whichever it may be it keeps us honest. I am not the kind of person that weighs in every day. I actually don't jump on the scale that often at all. I would recommend no more than once a week. Make it an event; Wednesday Weigh-In. If you check each day and don't see any progress it can be quite frustrating. Checking yourself out on the scale once a week is a great way to stay on a healthy track. 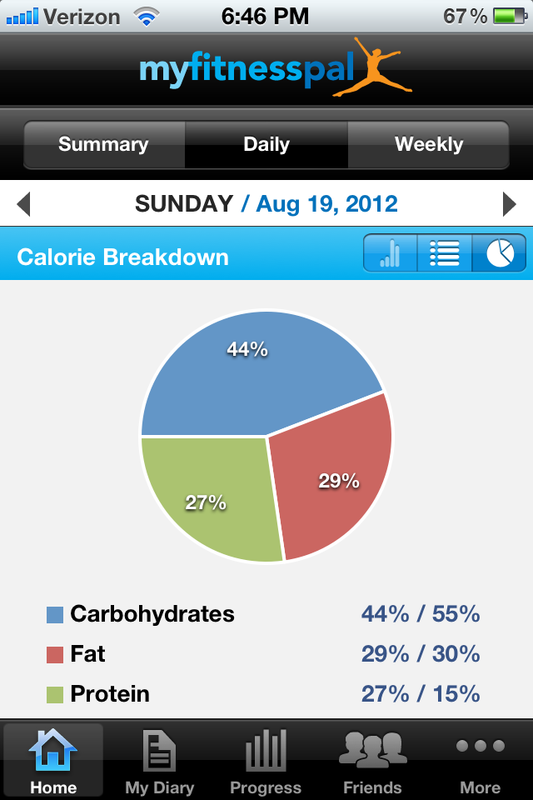 MyFitness Pal- MyFitness Pal is great for checking out your calories...but it can do so much more! You can check your nutrient details by clicking on the daily summary. It breaks down your total intake for fats, sodium, carbs, and vitamins as well as give you a goal and how grams you have left for each category. 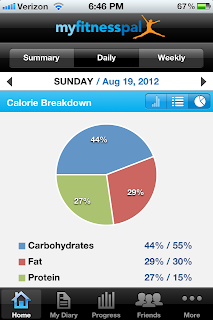 After checking out your daily intake summary click on the pie chart and view your breakdown of the carbs, fats, and proteins you ate that day. A good goal is 40% protein, 30% carbs, and 30% fats. 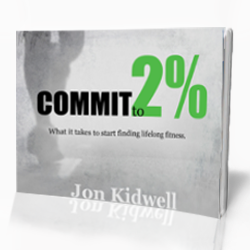 MyFitness Pal has a different breakdown, but I have found my 40-30-30 percentages work better for me. Check out all that is available from MyFitness Pal and see what works for you. The Exercise Mirror- Contrary to popular belief the mirrors in the gym are not vanity mirrors. Some people may use them as such but they actually have an important function. The intended use is for checking form. Form during exercises whether it be bicep curls, squats, or running is very important. Good form helps maximize your efforts and prevent injuries. So next time in the gym feel free to check yourself out for the sake of your good health. One Rep Max- This is a weightlifting term used to define how much weight you can lift at one time during a given exercise. Many people (college boys especially) will try to do their one rep max on the bench press quite often. The one rep max is an excellent way to check out how much power and strength you have for any given exercise. It can be used to measure bench press, leg press, curls, "skull-crushers", and many more exercises. You do not need to check out your one rep max every time in the gym. If your goal it to build muscle and be stronger checking every 2-3 weeks is not a bad idea. Sit and Reach- This one proved a necessity to me this past year. I would come home from work and my knee and hip were in SO MUCH pain. I would ice, elevate, and ask for massages from Meg. I changed my shoes and tried being less active throughout the day, but neither did the trick. I finally started stretching. I mean really stretching. Every day! I was pain free in 3 days! I am now a believer in the power of stretching. Check and see if you can touch your toes....no really do it. If you cannot begin a stretching regiment and continue every day or two. Check out your sit and reach and hopefully stretching can help you like it helped me. Mile Run Test- President's Physical Fitness Award anyone? Ah...the things we did for a small blue ribbon. I remember in middle school the mile day was the pits. A mile seemed SO long. The push-ups and sit-ups I was okay with, but the mile was just so boring. Now look at me, I love running. The mile test whether running or walking is a great way to track your improvement during cardio training. One week maybe you walk a mile and it takes 16 minutes. Three weeks later it only takes you 15. Improvement! Check out your cardiovascular endurance to see improvements about once a month. Pants Test- Now you can actually just check yourself out. Take those pants that are too big. I know you are saving them because they make you feel good. I have mine too. Put them on and hold that waistband out and see how good you look. Congrats! If you need a little motivation buy pants that are just a bit to small and do the same until they fit just right. I bought a pair of $4.99 jeans from Gap. (Remember I am...thrifty.) They were too small. It took 4 months, but now I wear them ALL THE TIME. So go ahead and check yourself out. Your excuse is you are doing it for your health. See how great you look. Be proud of your hard work and your improved health. What health questions do you have that you want answered?